Looker provides a whole new approach to Business Intelligence. 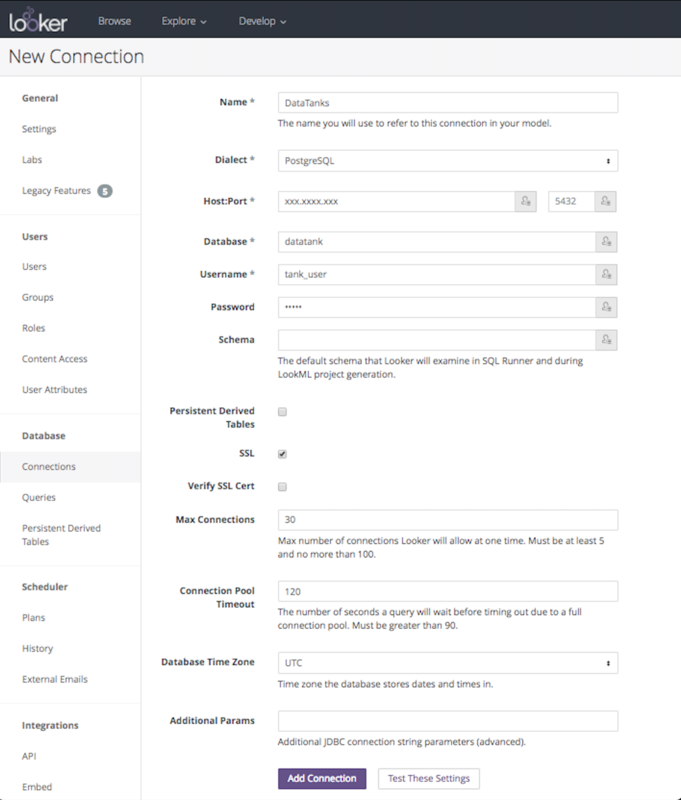 You can use SQL queries in Looker to access data stored in Arm Treasure Data. 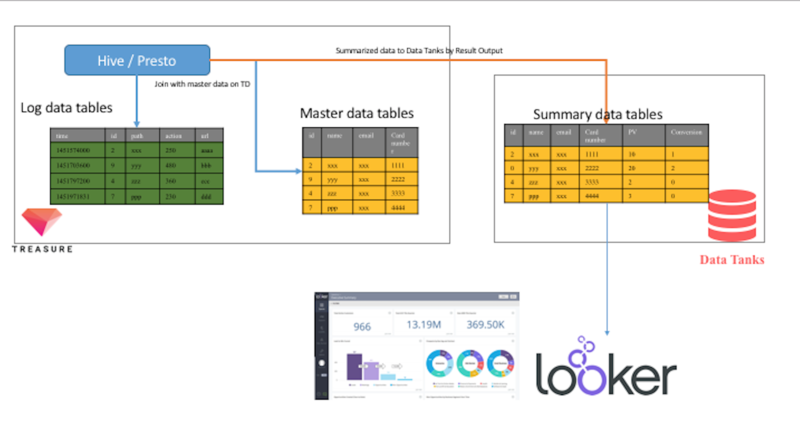 Use the data to create dashboards and manage data models in Looker. Consider Treasure Data as an “event data lake” where disparate event data sources (and a few slow-moving dimensions) are aggregated and processed to create more compact and “cleaner” data packages for further processing, analysis or visualization. Given the size and scope of an event data lake, providing highly concurrent, interactive access to over trillions of data points while retaining schema flexibility seems technologically impossible (at least when you consider affordability). But you can work around the challenge by using a design pattern called “lakeshore data marts”. We’ll continue with the data-as-water metaphor because it provides a great mental model for how data pipelines for analytics work. Treasure Data offers “Data Tanks” that provide a convenient and accessible metric store and enable you to drive your Looker platform from Treasure Data, without the burden of managing one or more separate data marts. Data Tank is an add-on feature. Contact support@treasuredata.com when you start to use Looker integration. Go to your Looker account. Click Admin –> Connections –> “New Connection”. Click this link for more details of each parameter. To unlock the magic of Looker, data experts describe their data in a lightweight modeling language called “LookML”. LookML tells Looker how to query the data so that everyone in the organization can create reports without needing to understand the behind-the-scenes details. Refer to this page to learn how to get started writing LookML.